In July 2009 I had a near fatal motorbike accident resulting in multiple complex injuries. I was airlifted to Nottingham Queen’s Medical Centre for life saving treatment. 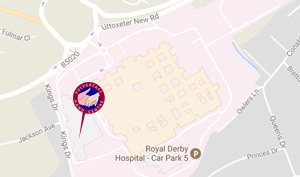 After a number of months in hospital I was discharged and because I live in South Derbyshire I was offered physiotherapy and rehabilitation on my arm and hand at the Pulvertaft Centre and I will be eternally grateful for this. Since December 2009 I have received an intensive programme involving the physiotherapists, nurses and OTs. They have worked with me explaining everything clearly and offering me an amazing level of support. 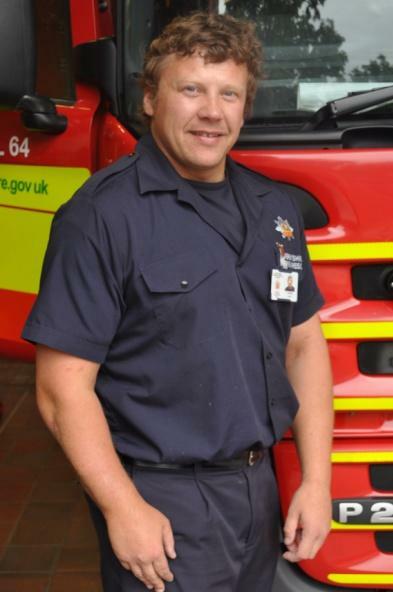 From beginning at the Pulvertaft Centre with extremely limited movement in my arm and hand, alongside open wounds, the physiotherapists, nurses and OTs have enabled me to return to my job as a fully operational firefighter. My programme was specifically tailored to my occupational needs and goals.They ensured I had regularly adjusted splints and a series of exercises I could work on at home. As my hand and arm improved I attended the workshop sessions and had time on the BTE and MULE which worked on my arm and grip strength. I was fully supported, physically and mentally, at each stage of my recovery and the teamwork demonstrated by them has given me back my future. Following bilateral trapeziectomy (3 years apart), I have attended workshops offered by the physiotherapy and occupational therapy teams. I can fully recommend attending these workshops. The therapists are able to give a range of exercises using equipment specifically adapted to individual needs. These strengthen and improve monocle tone and flexibility in a safe and controlled manner, therefore improving and enhancing the recovery and effectiveness of the surgery. As a result, my recover has been good, hastening a return to normal hand use and activities.